I have told the integrity committee that they should also attack me, but they refuse to do so, which fits in with this totally scientifically illogical attack. It is not about scientific misconduct, it is about Hari Subramanian working with cats. According to his biography, in 2015, Subramanian was named one of UQ’s 12 most promising early-career researchers. The above article, published online on 1 August 2015 in Wiley Online Library (wileyonlinelibrary.com), has been retracted by agreement between the journal Editor in Chief, Patrick R. Hof and Wiley Periodicals, Inc. The retraction has been issued following an investigation conducted by the University of Queensland and reviewed by the Editor in Chief. … agreed to review the unwarranted retraction of the paper. We have pointed out that all of the claims made by the University of Queensland have been examined by the Editorial Committee of the Journal, and have been dismissed. The Editorial Committee published the paper with confidence. After being rebuffed by the Editorial Committee, the University went about seeking out alternative means to damage our client, and so made representations to the publisher. We found out what had happened “second hand” and so had to make representations this week. We (with some substance) suspect that their “complainant” is a vexatious individual with an agenda not associated with science. If proceedings are necessary, the person will be identified by subpoena. JCN editor Hof has not responded to our requests for comment, so we haven’t been able to confirm McArdle’s claim. UQ contacted the journal in April this year following an investigation. The investigation process concluded in October 2017. The corresponding author, Dr Hari Subramanian, left UQ when his contract expired in December 2017. Dr Subramanian did not accept the outcome of the investigation. UQ does not identify complainants, but there is no suggestion the complaint that led to the investigation was made by animal rights activists or anyone motivated by animal rights concerns. I wish to advise that the ‘decerebrate cat’ research (of the retracted paper) was undertaken at The University of Sydney (not at The University of Queensland) over 10 years back with full ethics approval. Professor Gert Holstege mentored the research and is the senior author of the paper. Gert Holstege directed all aspects of paper preparation, data analysis and representation, illustrations etc. Thus Professor Holstege prefers to communicate with you over this. From my end, both UQ investigation and this retraction is unwarranted and is slandering a very meritorious study (cited now 10 times). As probably one of the very few ‘cat’ decerebrate physiology expert globally, I can only say how ill-advised UQ investigation was. Wiley retracted the paper without informing us. When we enquired with Patrick Hof, the editor-in-chief he professed that the retraction decision was made by the publisher (Wiley) and immediately sought review of Wiley’s decision. We are waiting to hear from Patrick Hof. Chris McArdle can fill you up with details of the legal case this became and continues. Thank you for describing me a ‘rising star’ albeit in a negative connotation! Secondly I would like to gently correct your reporting that ‘The University of Queensland investigated the integrity of “Subramanian’s data”. This is not just my data. Professor Gert Holstege is the designer, director and mentor of these experiments, curator of the data and senior author of the paper. Gert Holstege submitted the paper to JCN. Thus, this is Gert Holstege’s data as well. Why UQ only chose to pursue me is a mystery to me. The University of Queensland has got it very very badly wrong. That is probably because people unqualified in this area was on the investigating committee. The University of Queensland will not listen to highly renowned international experts who have tried to stop them from making this serious mistake. The University of Queensland’s lack of understanding of how these decerebrate cat experiments proceeded (at The University of Sydney) and how outcomes were arrived and represented in the paper has caused them to fall into this serious error. Professor Gert Holstege has asked me to step out of this and that he will handle the retraction issue with Wiley/Patrick Hoff (editor-in-chief of JCN). In March 2016, I was told that an anonymous complaint was received regarding the paper published in the Journal of Comparative Neurology “Subramanian, H.H., Arun, M., Silburn, P.A. and Holstege, G. (2016). Motor organization of positive and negative emotional vocalization in the cat midbrain periaqueductal gray. 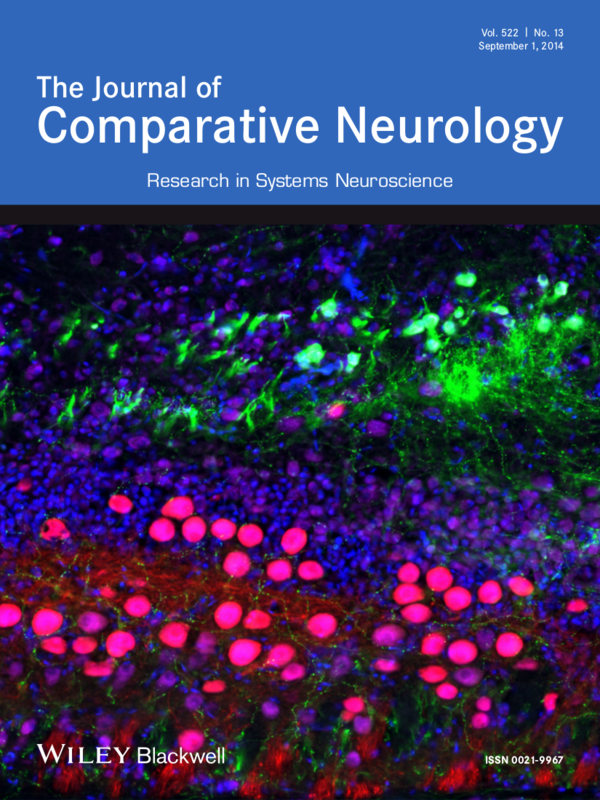 The Journal of Comparative Neurology 524: 1540-1557. doi:10.1002/cne.23869”. We were NOT told what the exact complaint on the paper was. UQ put forward a panel of three investigators to interview us (Gert Holstege and myself principally). Although they were experts in their own chosen field, none of them had expertise or experience in ‘decerebrate’ cat physiology or neuro-otolaryngology (which this paper deals with). Gert Holstege objected to the panel constitution. His objections were disregarded by UQ. Both Gert Holstege and myself were interviewed. UQ panel investigated the paper like a ‘fishing expedition’, seeking opportunities to generate issues that were non-existent. They came up with host of ‘scientific’ criticisms of our paper. Gert Holstege and I answered all their questions in extensive scientific detail. UQ disregarded all these, and continued to target me. Thus it became a legal case. The Fair Work Commissioner (FWC) found severe flaws in the investigation and ordered that UQ should interview Professor Gert Holstege the supervisor of the study (again), Professor Ron Balnave (in whose laboratory this research was undertaken at The University of Sydney) and provide a fresh report. The first report by UQ was thus made inadmissible by FWC. Following second round of interviews UQ panel came back with a second report which was more or less same as the first one. Gert Holstege immediately decided that I should not respond to UQ investigation anymore and file a defamation case against UQ. During this period, The Australian newspaper published a story covering aspects of the court case and interviewing Gert Holstege and Chris McArdle (my lawyer). Several renowned international experts in the field made representations to UQ expressing concern over the lack of transparency in the investigation, the reason why I am alone targeted (although Gert Holstege had made it ample clear that he was in-charge of the paper, not only to UQ but also to FWC during the court proceedings) and “what exactly was the complaint let alone being anonymous”. Meanwhile my tenure at UQ ended in December 2017. In late May 2018, we were caught by surprise of the retraction by Wiley. We were not advised by Wiley prior to retraction. We emailed the editor-in-chief Professor Patrick Hoff who conveyed that the retraction was done by the publisher (Wiley) and immediately ordered a review of the retraction decision following extensive scientific material submissions from our end. Currently several global experts have made submissions to Wiley questioning the retraction. These experts are esteemed members of SFN, FENS, IBRO and ANS. None of them have received any response from Wiley so far. We believe it is an absolute requirement for us, the authors to know the precise evidence used by Wiley to reach this conclusion. This is elementary principle of scientific justice that the authors are told what the complaint/issue/evidence is and be provided an opportunity to cross-examine. We have NOT been provided any evidence, nor opportunity to make counter-submissions against the ‘purported evidence’, apart from a statement that University of Queensland undertook an investigation on the paper. Chris McArdle can further provide you with all legal facts. Dear Dr Subramanian, I wouldn’t do your experiments, but I want to wish you the best in this case. After reading the above post I have no idea what it is you supposedly did wrong. There’s no pubpeer thread on this paper. There’s no information in the retraction notice. However, there are a couple of comments I have that arise from your response here. Queensland institutional Animal Care Ethics Committee”. So I would say that UQ does have jurisdiction here. 2. You say that Prof. Gert Holstege is the “designer, director and mentor of these experiments, curator of the data and senior author of the paper”. However, you are listed as the first and corresponding author. The author contribution statement further says, “HHS conceived the project, designed and performed the experiments, collected and analyzed the data and made figure illustrations”. GH is only credited with writing the manuscript in collaboration with you. Based on this, I can see how UQ could appear justified in targeting you. Still, I don’t see how any of this justifies retraction. Sometimes we do things to emphasize the contribution of junior authors a bit in order to help them in their careers (e.g. first+corresponding author). In my view, that’s not misconduct and certainly not justification for a retraction. Even if there are ‘scientific criticisms’ as you say in your comment, it is unclear why these criticisms have not been made more public to help the field understand why this paper supposedly deserves retraction. This whole thing is very mysterious. I hope that you experience a fair outcome. The CCC confirms that evidence against Murdoch and Barwood was collected by a UQ internal investigation rather than police or CCC investigatory officers: “25 June 2013: CCC refers the matter to UQ to conduct an internal investigation”, and “6 September 2013: UQ advised the CCC of the allegations that had been substantiated against Doctor Murdoch and Doctor Barwood” (p 4). UQ employees are not police officers: they are not qualified to conduct criminal investigations and forensic interviews. In another of its investigations of an academic, a court found that The University of Queensland’s investigation was “so infected by error as to be useless”. In our case too, the court (FWC) observed that UQ investigation has serious flaws and defects. Chris McArdle (my lawyer) can explain it better. Thank you for your kind wishes and highlighting important points. We did not question the jurisdiction of UQ anywhere. The question was ‘why UQ only targeted me’. Gert Holstege is also UQ affiliated. Using only acknowledgement information (in the paper) to target me would be a ‘flimsy and uneducated’ reason. This was the third paper from the same cat studies (undertaken at The University of Sydney), the first two being 2008 and 2009 in which Gert Holstege was the corresponding author. Gert Holstege made his contribution aspects on the cat studies (including the 2015 paper) very clear to both the UQ panel, the FWC and to The Australian newspaper! 1. The first line in the acknowledgements is supposed to read GH and HHS (same contribution as in the last line) regarding conception etc. I only detected the mistake after the paper got published because the paper & proof submission was made by Gert Holstege. Gert Holstege did not seem too inclined to make an erratum for this insignificant issue. Also as you said Gert Holstege wanted to provide me the corresponding authorship to support my career development. Whatever I have achieved in my neuroscience life, I owe it to my mentors and in this particular case Gert Holstege. I can tell you that it is not easy to undertake cat work without ‘total involvement’ of expert supervisor like Gert Holstege. Thus for the subsequent papers, The University of Sydney suggested that we only use our current employment affiliation (to avoid animal activism in the Sydney campus), with a statement on where these experiments were conducted in the ‘methods’. University of Groningen (where I worked at that time) was used for the 2009 paper affiliation and University of Queensland for the 2015 affiliation. Correspondence regarding this was submitted to UQ. 4. No ‘vocalisation’ data was collected from The University of Queensland, nor presented in this paper either. The ethics citing UQ in the paper was only for ‘natural observation’ without data collection or representation. We were given permission for this. This is not a retraction because of scientific misconduct, but because of political reasons. The story behind is as follows. About two years ago the University of Queensland (UQ) in Brisbane Australia received a complaint, possibly about Hari Subramanian. We are not sure, because the complaint was “secret”, and the complainer was “anonymous”. Subsequently, UQ started an “Integrity Committee” of three people who were not systems neuroscientists. They started from zero and came with all kind of peculiar criticisms which, in simple terms, were not neuroscientific. Hari Subramanian, me and more than 10 other systems-neuroscientists informed UQ extensively that the criticisms of their “Integrity Committee” were nonsense or even lies. They did not reply to our statements. Successively, UQ sent a message to publisher Wiley about their problems with Hari Subramanian and me and they choose this JCN-paper (Subramanian, H.H., Arun, M., Silburn, P. and Holstege, G. (2016) The motor organization of positive and negative emotional vocalization in the cat midbrain periaqueductal gray. J. Comp. Neurol. 524:1540-1557), to attack, and asked Wiley to retract this paper. Wiley indeed retracted this paper without telling us that they would do so. Meanwhile we have extensively informed Wiley and the editor in chief of J. Comp. Neurol., Patrick Hof, about the details and what is behind this peculiar problem, but neither Wiley nor Patrick Hof is responding. In conclusion, we do not deal here with a scientific, but with a political problem. The complaint is secret and the complainer is anonymous and UQ, but also Wiley and Patrick Hof keep it secret and anonymous. Dr Hari Subramanian should put in a Right to Information request (RTI) to UQ for a copy of any and every complaint made about him during his employment at UQ. UQ is the decision-maker about an RTI application. Reasons for refusing an RTI application are “not in the public interest” or processing the application would require “substantial or unreasonable diversion of agency resources”. The Office of the Information Commissioner Qld is responsible for investigating and reviewing RTI decisions when an RTI application is denied. Anyone can put in an RTI. It doesn’t have to be the subject of an alleged complaint. Next Next post: Karolinska told a journal to retract a paper by Macchiarini. It refused. The story didn’t end there.